Monument to Sir James ALtham and his wife. In the eight century Oxhey was a small clearing of scrub and heath in the forests around the north of London and a small community lived there, worshiping a heathen god. The king of that part of England, Offa of Mercia, seized the kingdom of East Anglia , slaying its king, and as part of his reparation founded the monastery of St. Albans. At a later date he killed a guest at a party, and in penance for this he made gifts to St Albans which included the land now known at Oxhey. In A.D. 793 monks settled there and farmed the land, probably supplying the needs of the mother house at St. Albans; but their first task, as usual, was to build a chapel. 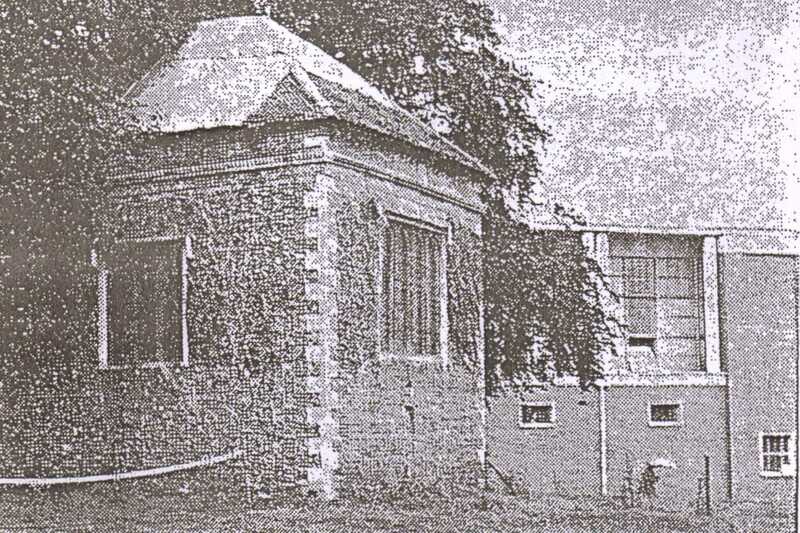 The present chapel stands on this original site. A boundary fence of mud and sticks was made to keep their oxen – hence the name Oxangehenge, which changed throughout the centuries until it became the present day “Oxhey”. The monks remained there until a local Danish chief named Leofsige (Livesey?) cast envious eyes on the prosperous farming settlement, eventually seizing it for himself. The monks then retired to St. Albans. When Leofsige was banished in A.D. 1002 for the murder of the king’s reeve, Aefic, the property came into royal hands. The monks appealed to the king of Albion. and King Ethelred, known to all as Ethelred the Unready (Ethelred means “noble counsel” and Unready is more correctly “ill- councelled”), sold it back to the monks for 1,000 marks ( a mark equaling two-thirds of a pound). A charter was signed by Ethelred dated A.D. 1007, the original of which is in the Bodleian Library at Oxford, but a copy is in existence in the chapel today. The monks remained there for over 500 years until Henry VIII destroyed all the monasteries. The buildings became derelict, and eventually Queen Elizabeth I gave the estate to her Chancellor of the Exchequer, Sir James Altham. He set up his home from the ruins of the monastery and in 1604 began to build a chapel on the site of the old chapel of the monks. In 1612 the building was finished and dedicated. It was plain and rectangular, about fifty feet by twenty-five feet, and had a small porch at its western end. It is thought that some of the materials used were those of the earlier monks’ chapel. The east wall is of rose-red brick and the small bricked-up doorway at the base is thought to have been inserted during the Commonwealth, when the chapel may have been used as a barn. The other walls are faced with flint up to a height of about eighteen inches, and above are chequered with alternate square panels of brick and flint. The windows are typical of the period, although most of them were altered slightly in the nineteenth century. Inside, the sanctuary floor is diagonally chequered with black and white stones, but the other floor is more modern. 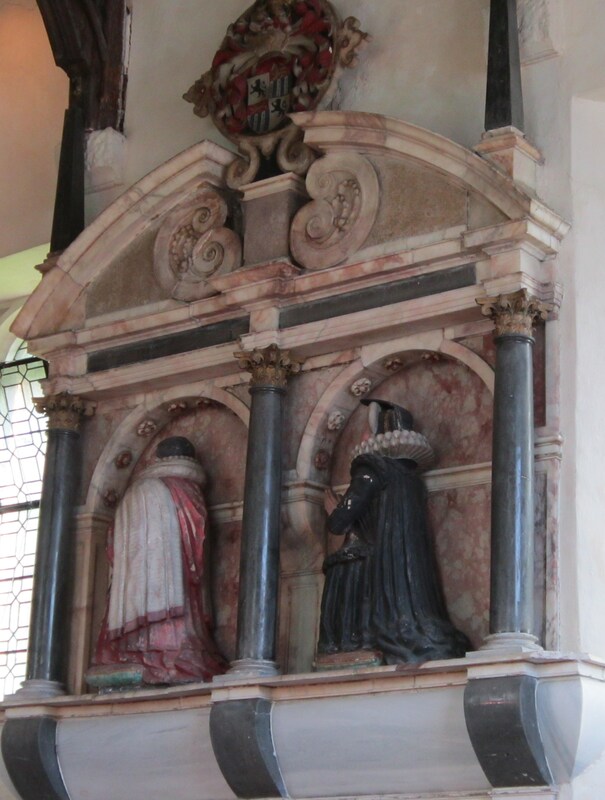 Sir James Altham died in 1617 and he and his wife are buried in a tomb under the front of the chapel. 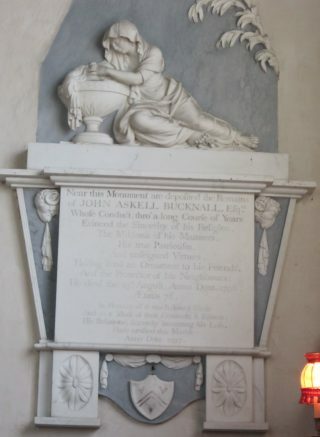 Their monument, with the kneeling effigy, is on the south wall. The reredos is thought to have been erected in about 1690, and to have come from the house which was pulled down in 1688 when a new one was built. It is composed of three parts, with the Ten Commandments in the centre section, the Lord’s Prayer on the left, and the Creed on the right. The altar and font are believe to have been made in 1712. The latter is of beautifully carved oak, with a heavy solid lead basic inside for the baptismal water; it has been transferred to the new church now standing alongside the chapel and is still in use to this day. 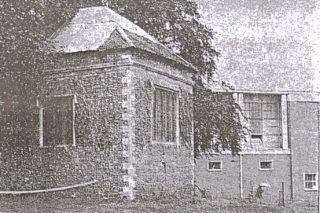 The chapel was used for divine service for the owner and his family and friends until 1799, when the house was demolished by Sir William Bucknall, who also owned the Wiggenhall estate nearby. From 1799 until 1852 the chapel was used mainly for the storage of lumber, but in the latter years was repaired. In 1877 the estate was bought by the Blackwell family ( of Crosse and Blackwell fame), and in 1897 Mr T F Blackwell made extensive repairs. He put in new teak pews, which were placed choir-wise, restored the windows and altered the outward appearance by rebuilding the porch at the west end to include two vestries. In 1946 the estate was sold by the Blackwell family to the London County Council, who built an estate which is now known a South Oxhey. For the first time since the chapel was built public services were held there until the new church of All Saints alongside it was completed; this church was consecrated in 1954 by the Bishop of St. Albans, and was proclaimed a parish church in 1961. The vicarage has been built nearby. The chapel has continued to be used for some mid-week services and its bell has been in constant use, for the church as no bell of its own. A partial collapse of the roof during last winters snows brought to light that its condition was even worse than had been feared, and contractors have quite recently commenced work on a general repair of the fabric. When the former steep , tiled roof had been stripped it was discovered that original roof had been comparatively flat and covered with lead, and that it remained complete, with the exception of its lead covering, hidden below the sloping rafters. It is now thought that the pitched roof was a makeshift addition intended to make the building watertight after the lead had perhaps been stolen, or commandeered during the civil war. The heavy oak beams that are so striking a feature of the interior were those intended to give direct support to the external roof. Unfortunately it has now been discovered that the end of nearly all these beams are in an advanced state of decay necessitating much more extensive repair work than had been envisaged, and there is some doubt as to whether, when this has been done, funds will suffice for the remainder of the essential repairs. A local fund is being organized to help the diocese of St. Albans with the work and a public appeal is being launched. Readers who share the concern that this unique building should be preserved are invited to send a contribution towards the work to the vicar, the Rev E Charles, all Saints’ Vicarage, Gosforth Lane, Oxhey, Hertfordshire. This page was added on 31/05/2018.